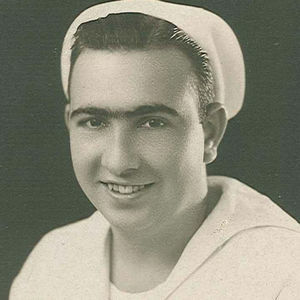 Mr. Howard W. Watson, Jr.
Howard W. Watson, Sr., age 88, of Holtwood, PA and formerly of Wallingford, PA passed away on Saturday April 14, 2012 in Wilmington, DE. Howard was born in Marcus Hook, grew up in Linwood and graduated from Chichester High School. Howard worked at Sunship as a ship fitter before entering the Navy. He was in the Navy from 1943 to 1946 and served in the South Pacific. After his discharge, he worked as an auto mechanic. A pigeon fancier, Howard belonged to Lennox Park and Boothwyn Clubs. He raised and raced pigeons since he was eight years old. He was also a long time member of the American Legion Post 926. He was preceded in death by his wife, Bessie L. Watson, father Earl G. Watson, mother Mabel L. Watson, sisters Carolyn, Loretta and Hilda and his brother Earl. Survivors include his sons Howard W. Jr. (Debra), and Richard E. Sr. (Lisa); grandchildren Krystle Lee, Richard E. Jr., Elizabeth and Matthew; brothers Melvin (Barbara), and George (Mary), sister Thelma Langley, nieces and nephews. 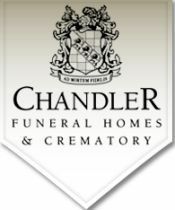 Friends may visit from 9:00 to 10:00 am on Friday April 20, 2012 at CHANDLER FUNERAL HOME, 2506 Concord Pike, Wilmington with services beginning at 10:00 am. Burial will follow in Philadelphia Memorial Park, 124 Phoenixville Pike, Frazer, PA 19355. In lieu of flowers, the family suggests contributions to Delaware Hospice, 3515 Silverside Rd., Wilm DE 19810.